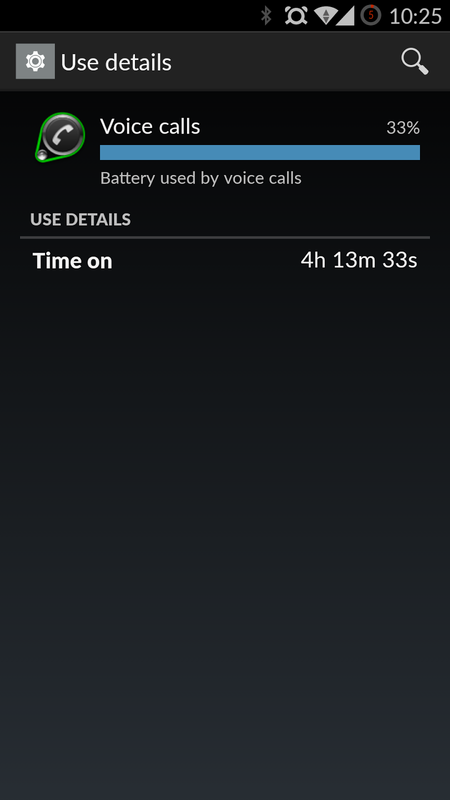 And a few days have passed since I started using the OnePlus One. Quite a few people asked me to tell them how is the phone before perhaps they buy a lesser known Chinese brand phone, so here I pen down my views. I'll start with positives and will start with the design. Its beautiful. The "Sandstone" back and the metallic bezel around the screen make it look awesome. And its not because I am biased, its indeed a very good design. Hardware - Super fast, snappy. There are of course no problems usually in a new device with monstrous specs. This one is no exception. Its super fast. User Experience - This one comes with a custom ROM - CyanogenMod which is essentially Stock Android modified a bit to add some useful tweaks that make life simpler. 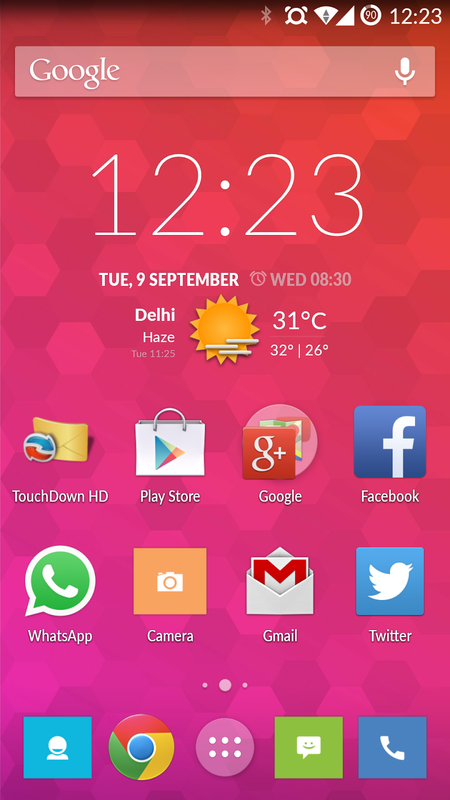 For those who do not know about Custom ROM, it is Android, so no worries. 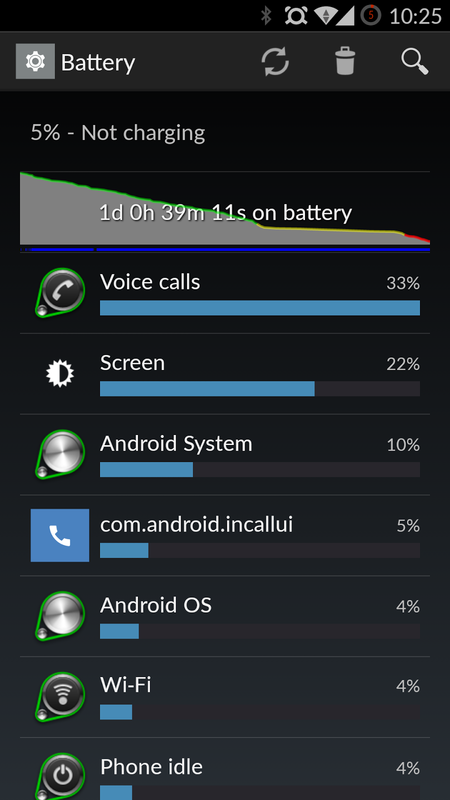 CM (CyanogenMod) has provided 3 profiles to manage battery - Power Save, Balanced and Performance. I've definitely observed minor lags in "Power Save" mode and that's quite expected. There is also a "known issue" with multi touch while typing, which effectively annoys the hell out of someone who is pretty used to typing on a phone with two hands and with decent enough speed. So what actually happens is that if I type with my usual typing speed, it tends to miss a few characters every few characters. There are workarounds, but at the moment they are just workarounds. Good thing is that its a "known issue" and a fix has been promised (because its been identified as a glitch which can be fixed via a software update). Screen - Beautiful, wonderful, its a treat to watch videos on this. Size - Its a big phone. I have big hands. Its not that easy to use. So keep that in mind. 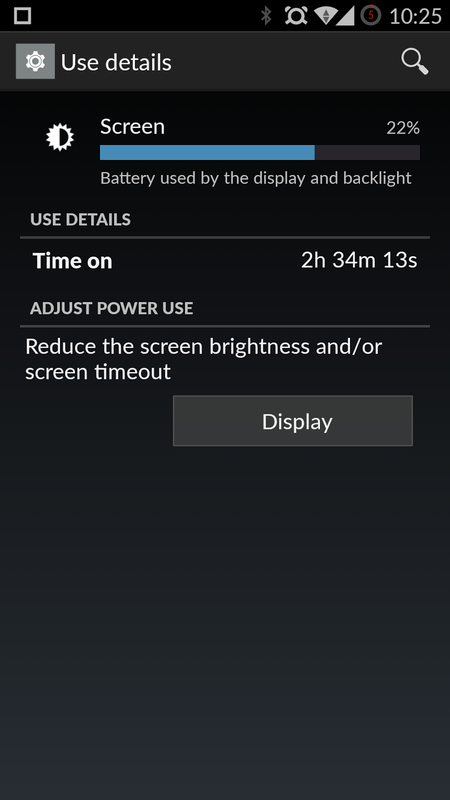 It took me time to get used to the size but still its not as convenient to use as was my Nexus 4. This is something I already knew, hence not complaining. One good thing that they've done with the design, however, is the placement of the power and volume buttons. 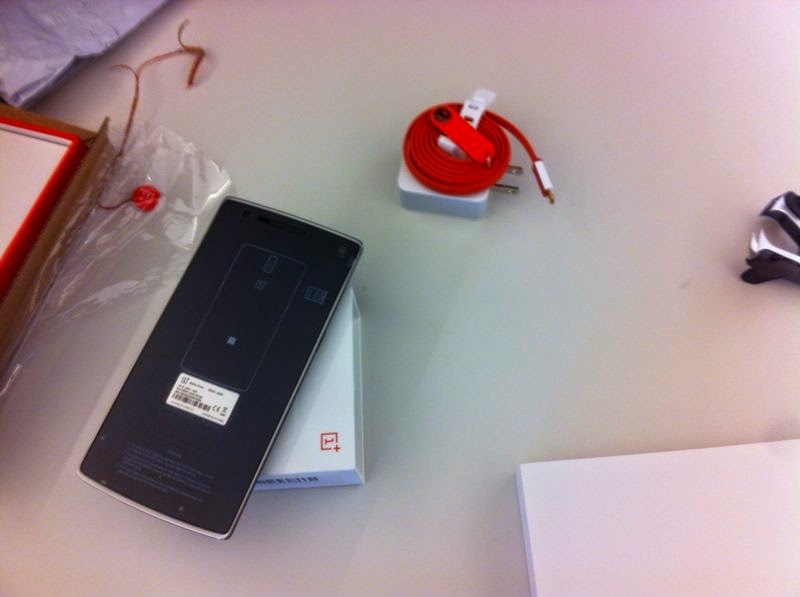 Both are on each side of the device and placed in the lower half of the upper half of the phone. That makes it slightly better because it doesn't require you to stretch your hands all the way to click a button. Its hard to buy One - All of you who are interested in buying this must be aware that it's not available over the shelf. They are following an invite-only system which honestly was irritating. Even after buying this phone, I haven't received any invites which I can use to share with others (which was ideally supposed to happen as mentioned on various forums). I have read that they would be moving to a "pre-order" mode of sale starting next month. No confirmation on dates, however, we can wait and watch. Summary - Its an A+ or rather One+. Worth buying if you can. Alternatively, you could wait for the iAnnouncement tonight and pay double/triple the price for specs am pretty confident would fall short of beating the OnePlus One. The other big announcement is likely next month and that's the Nexus 6 (if at all). That I do think would have similar or better specs but getting your hands on that would at least take 4-5 months from now. 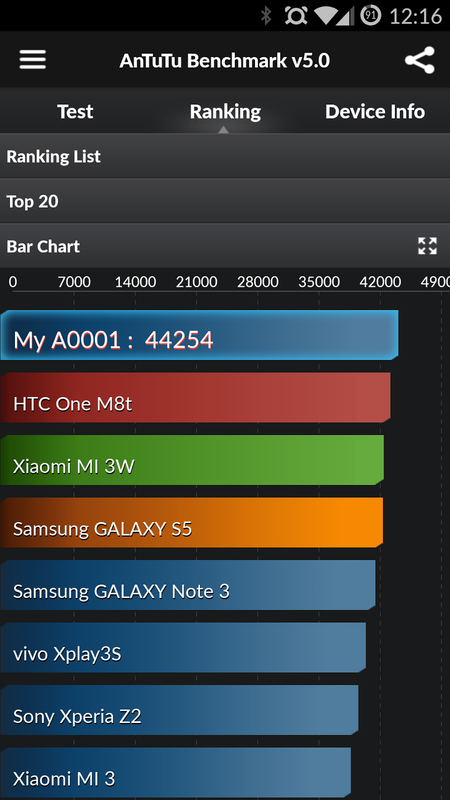 And without making any comparisons to any other device, just remember, its a big phone. If you are fine with it, get it else look for other options. As far as the multi-touch glitch is concerned, I am confident it'll be fixed before you could buy one.